How does Adobe define bounce rate? What’s the difference between exit and bounce rate? And how can these numbers be meaningfully used to better serve customers and ultimately improve results? Let’s take a closer look at some of the numbers you see in your digital marketing analytics platform to help answer this question. We’ll focus on terminology used by Adobe Analytics and Google Analytics since they are the two most popular analytics platforms. For example, 74% of the Internet Retailer Top 500 use Google Analytics, 41% use Adobe Analytics and only 16% use others (IBM Digital Analytics, WebTrends, etc.). Also, since many organizations use multiple platforms (as you can see the above numbers), it’s helpful to understand when different platforms use different terminology to mean essentially the same thing. What it is: Google Analytics defines bounce rate as “The percentage of single-page sessions in which there was no interaction with the page.” Adobe Analytics has a similar definition. It’s important to note that exit rate includes bounces, but it also includes instances when a visitor did interact with something (e.g., a previous page) and this was simply the last page they viewed on your site. However, many marketers should ease their anxiety and focus elsewhere. Bounce Rate is usually most helpful for a business that sells traffic, like a publisher that sells ads on its site. In that case, the goal of most pages (which tend to be content, like an article or blog post) is to get people to view more pages and thereby generate more ad revenue. But if you’re selling a product or service, your focus shouldn’t be getting visitors to simply view another page. It should be to walk them through a thought sequence to help them make the best purchase decision. Essentially, a funnel. 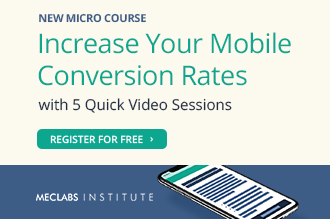 A word of caution: “For funnel optimization, I tend to focus more on exit rates and clickthrough rates to other steps in the funnel,” said Rebecca Strally, Associate Director, Strategy Development, MECLABS Institute. “It’s not that bounces aren’t salvageable, it’s that source/medium reporting has gotten spottier over the years so it’s difficult to assign a bounce to a specific off-site source and therefore we are hard-pressed to determine what motivation may be lacking on the page. I’ve seen better long-term results when we just focus on moving more people deeper into the funnel rather than worrying about how to reduce bounces specifically,” she said. What it is: The number of a particular webpage’s views that were last in the session. Google Analytics provides an exit rate and shows a percentage, Adobe Analytics shows exits and provides a total number. As mentioned above, exit rate includes bounces, but it also includes instances when a visitor did interact with something (e.g., a previous page) and this was simply the last page they viewed on your site. Also, keep in mind how the denominators are different between exit rate and bounce rate. Since bounce rate essentially mentions a one-page session, the bounce rate is only measuring against entries to that page. Exit rate includes both people who entered the site on the webpage you’re looking at metrics for, but also anyone who viewed the webpage and entered from a different page. How to use it: It can help you understand the biggest leaks in your funnel. This may be the place in the buyer’s journey that is most ripe for conversion optimization work to improve your overall results. Why are people leaving before purchasing or becoming a lead? And what information can you provide to encourage more of them to continue the journey through your funnel? A word of caution: People will naturally leave at certain stages of your funnel more frequently than others, and it doesn’t necessarily mean that step of the funnel is underperforming. For example, if the first step of your purchase funnel asks people to select the color so they can see what their future couch will look like in that color, and the second step asks for a credit card and purchase, people are far more likely to exit on the credit card step even if you’re executing it quite well due to the nature of the ask. What it is: The number of visits within the time of your report. Adobe Analytics refers to this as “visits,” and Google Analytics refers to this as “sessions” (for multiple pages in a single visit) and “unique pageviews” (for an individual page, even over multiple sessions). How to use it: This can help you see how many times people are coming to your website. For many products and services, a customer may have to visit your website and get information about your company over time (while building trust) before making a purchase. But a word of caution: This is an engagement metric. While it can be an important step in the funnel to lead to an ultimate conversion, it likely isn’t your end goal. So you may want to focus less on getting an increased number of visits and focus more on getting visits from your ideal customer. More visits from your ideal customer are what will ultimately lead to more sales and conversion. What it is: The number of times a page is … wait for it … viewed. Unlike with unique pageviews or visits, this metric can include multiple views from the same person, even if they simply hit refresh. 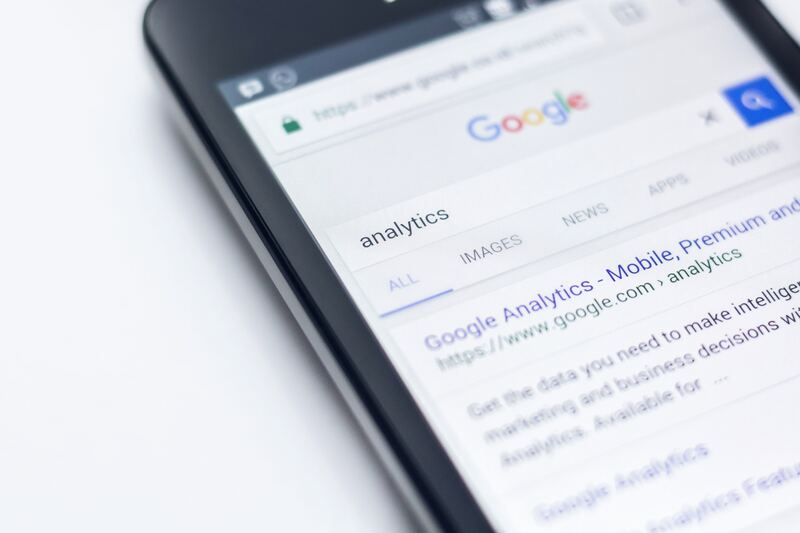 While Google Analytics and Adobe Analytics refer to this by the same name, they differ slightly on the grammar: Adobe calls it page views and Google calls it pageviews. How to use it: It could give you a sense of how popular certain pages are on your website. If you engage in conversion optimization on the most popular pages, you can increase your chances of getting more leads and more sales. But a word of caution: As mentioned above, people hit refresh on webpages. They go back to a page multiple times just because they’re distracted by something else. This measurement could be showing not just popularity, but simply distracted browsing and user habits. What it is: Essentially, clicking on a link. This could be clicking on a homepage link to get deeper into a site, for example. Or clicking on a specific product on a product gridwall. But it can also be clicks from offsite to the website, like clicks from an online advertisement or an email. This is shown in terms of total number of clicks as well as clickthrough rate (CTR) percentage. How to use it: This metric can help you track the effectiveness of not only parts of your website but also elements of your channel at driving prospects to the next step of the funnel. When to de-emphasize it: If you’re paying for traffic (for example, a pay-per-click ad), your goal shouldn’t be to get the highest clickthrough rate on that particular advertisement. The goal should be to get the most clicks from customers who ultimately get through your funnel and make a purchase or take some other ultimate conversion action. What it is: The number of unduplicated visitors to your website within the time of your report. Adobe Analytics uses the term “unique visitors,” and Google Analytics uses the term “users.” One important caveat, different platforms calculate this metric in a different way (more on that below). How to use it: This metric helps you determine how many actual people you’re reaching with your website. It can ultimately help you determine how many people take the desired action you want them to take, and help you optimize that number by running A/B and multivariate testing. A simple word of caution: This metric may not be perfectly tracking how many people visit your website. This is probably the most difficult metric to measure of any listed in this article since customers use multiple devices and some use private browsing modes or otherwise hinder cookies so analytics tools could double- (or triple-) count some of your visitors. It’s also important to understand how unique visitors and users are counted if you’re testing on your website. Because of this, Adobe and Google might count unique visitors and users differently. For example, if a visitor was logged in to their Gmail account and visited the same website using a desktop device and a mobile device, Google may be able to track those visits as being from the same visitor where Adobe wouldn’t. And there are likely scenarios where Adobe would be able to tell a visitor is the same on multiple devices where perhaps Google could not. A more complex word of caution: If you really want to get into the weeds, let’s address this question — how do unique visitors differ between Google Analytics, Google Content Experiments, Adobe Analytics and Adobe Target? Keep in mind, a unique visitor is only unique in reference to a certain timeframe. So, the way you pull data from your testing platform (like Adobe Target or Google Content Experiments) when running a test may show a different number than your analytics platform because it may be accounting for a different timeframe. All of these platforms define unique visitors in the same way, so if we were to pull a monthly report from each platform, we would have three unique visitors. Where the discrepancy comes in is when you begin pulling daily data. If you are pulling daily data from either Adobe Analytics or Google Analytics to cross-reference to your results from Adobe Target or Google Content Experiments you will get different numbers. This is because Adobe Target and Google Content Experiments will not pull daily data; they will pull aggregate data for the entire test period. Let’s look back at the scenario. If we pulled daily data from Adobe Analytics or Google Analytics, we would get five unique visitors (Visitor A = 1, Visitor B = 3, Visitor C = 1), but Adobe Target and Content Experiments would only be showing three unique visitors (Visitor A = 1, Visitor B = 1, Visitor C=1), because they are looking at the entire month of May. For your tests, you should pull data aggregately so you don’t deflate the conversion rate with more unique visitors than really were in the test. Keep in mind, there is one flaw with each metric we’ve discussed. It tells you about the past, not the future. 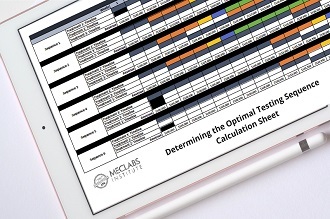 That’s why the testing scenario in the previous section is so important. 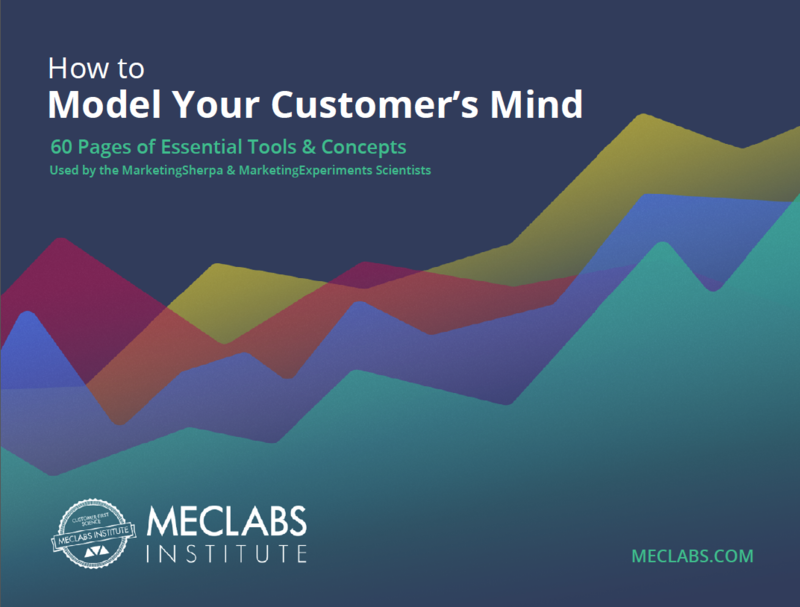 You can, of course, use these numbers to better understand customers and start predicting their future actions and, more importantly, what changes you can make to affect those future actions. You would create a hypothesis. And run an online test. For example, if your goal for an SEO landing page is to click through to other pages with deeper info on the topic, and you run tests to improve the headlines for those topics and reduce bounce rate, those numbers and that test helped you better serve customers and improve results. 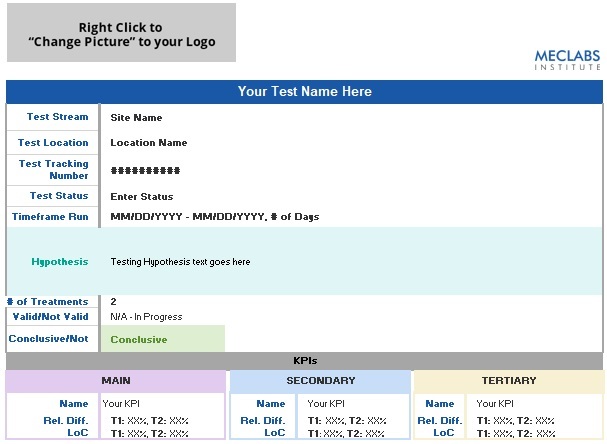 From each online test, you learn more about your customers. You turn simple numbers in a spreadsheet into a Technicolor view of your customers to help serve them better, and in so doing, improve your business results. Marketing Research Chart: What metrics should you track?